So how do these stages translate into video? Want to take a closer look at this checklist? and explore the types of videos that work in each. Getting started with video marketing is not that difficult, says online expert Tom Buyens. 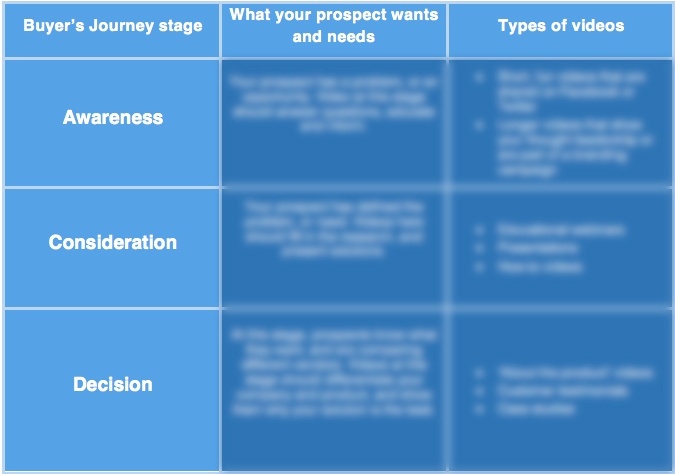 You just need to consider your video marketing objectives, and break it down by stage in the buyer’s journey. “To start, consider adding one video per stage,” he suggests. According to research conducted by HubSpot, 52% of professional marketers believe video delivers the best return on marketing investment, compared to all other marketing tools. For most marketers, faced with shrinking budgets and the need to do more, with less, this is an important factor. Tom Buyens agrees. “Video offers the best way to create magic about your product and brand, and build trust,” he says. “It’s easier than you think to take advantage of video marketing opportunities.